Eskom's 8% average increase of energy prices per annum over the next five years, petrol price hikes, the increase of farmworkers' minimum wage, as well as the e-tolling regulations in Gauteng, will all add to the increasingly high input costs across the agricultural sector, all of which farmers continue to battle to contain. According to Arthur Chien, CEO of Talesun Energy, a leading supplier of solar energy solutions, some of these costs can be alleviated, especially electricity is one cost that farmers can reduce and do have control over. Chien says renewable energy such as solar PV, allow farmers to pump water throughout the crops at a reduced cost. He also points to the example of poultry farms, which require constant ventilation and lighting, and can be the most expensive elements of an agricultural business. 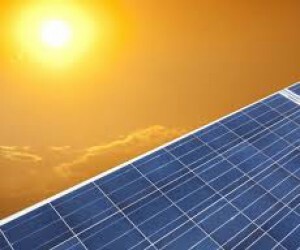 • Solar panels need to be able to provide the best performance to help ensure economic payback of the power produced. It is therefore important to select a solar energy supplier that uses panels that are high quality. The quality of the panels can be determined by the brand, the durability and longevity of the panels, whether they are able to withstand harsh weather conditions, as well as any certifications the company and its products might have. Low-quality panels can get damaged easily, and this will affect function and efficiency. • Panels installed on top of livestock barns should be tested for their resistance to ammonia, salt and mist corrosion.Ensure that the solar PV company conforms to the Quality Tested Certificate for passing the salt mist, ammonia corrosion test. Panels need to be able to withstand high mechanical load strength of 5400 pascal (Pa) in accordance with the requirements and conditions set out by the International Electrotechnical Committee (IEC). • See that the solar modules come with at least a 10 year product guarantee. • Ensure that the modules are protected against fire damage. • Check with authorities whether planning permission is required. • Ensure that warranty details on product and workmanship are clarified.